Below, we’ve listed some of the most popular models out there, as well as a handy pro and con list of features to help you better make a decision on which machine best suits your needs. The Zojirushi is one of the most expensive bread makers on the market today, coming in at $280, but you certainly get what you pay for. 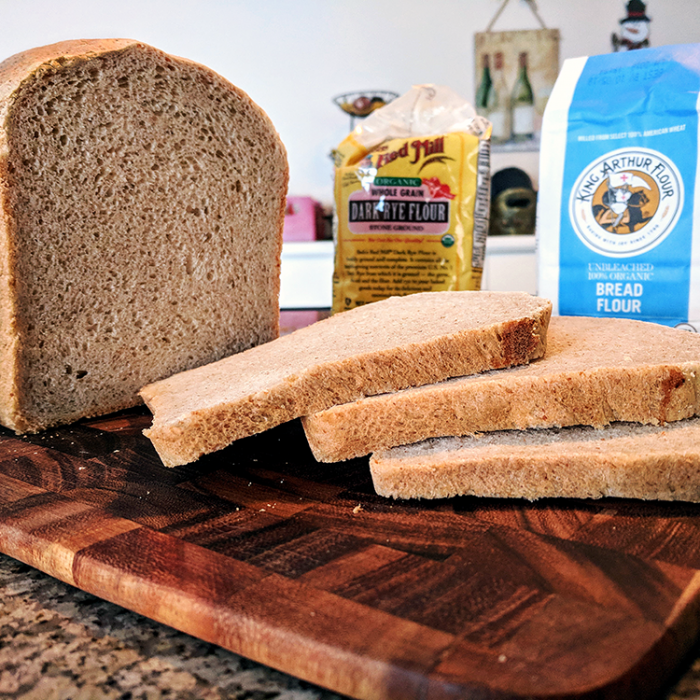 Customers rave over the great tasting bread and the sleek modern look of the appliance, and most bundles on Amazon also come with not just measuring tools, but a cutting board and a bread knife as well! Another of the products at the higher end of the price spectrum the Breville BBM800XL will cost a user $250, but like the Zojirushi makes some of the best tasting bread out there. The attractive, stainless steel design has also been found to appeal to customers, and with one of the widest varieties of recipes available (over 60!) this bread maker has proven time and time again that it is well worth the money for those who enjoy waking up to the delicious scent of fresh bread in the morning. The Hamilton Beach machine is significantly less expensive that the Breville or Zojirushi products, coming with a price tag of just $74.95. Despite the low price, however, users seem to enjoy the product and it has 4.2 stars on Amazon with over a thousand reviews. Many people also seemed to love the easy to use interface, and the black plastic material helps it blend into most kitchens with ease. At $81.56, many people might not expect too much from the Breadman Professional Bread Maker, but this stainless steel appliance is full of surprises. With 14 different settings available and a viewing window to watch your bread be made, this is a great choice for the professional and amateur alike. And it also creates 3 different size loaves, so you can have the right amount of bread for any occasion. The Cuisinart CBK-200 is a solid, stainless steel bread maker that retails for $139.00 on Amazon. This is an ideal product for both the dedicated baker and those just dabbling in making their own bread, and allows users to create a wide variety of breads and jams to suit their tastes whenever they please. The piece is a bit heavy though, weighing 24 pounds, but its sleek design and quality output has led to excellent reviews and many satisfied customers. The least expensive of the bread makers we reviewed, the Oster Expressbake sells for only $58.99 on Amazon. 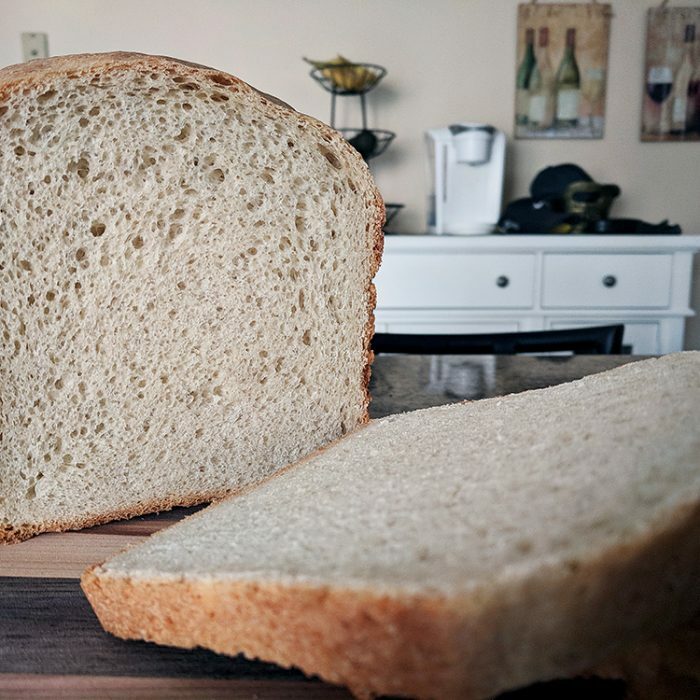 Don’t assume that low price equals low quality, however, as the Expressbake puts out great tasting loaves of bread every time, and its small size means that it can fit in even crowded kitchens. Not just that, but the easy to use interface and the accessible viewing window makes it a great piece for bakers of all ages, and lets users watch every step of the baking process as it happens. Wobbles while baking, so keep it away from edges! A bread machine, as the name suggests, is a device used to make bread. These devices can vary pretty widely in size, but for the average homeowner there are several standard options that allow the user to make just enough to ensure that they and their family are never short on high quality, homemade bread that doesn’t require weekly trips to the store to pick up the pre-made stuff. The way bread machines work is pretty straightforward. It starts out with a bread pan, and the user needs to pre-measure and add in ingredients in a specified order. Typically, this begins with the liquids entering the pan first, and the more solid ingredients going in after. Almost every bread maker available also comes with a measuring beaker and spoon to help ensure that you get your ingredients to the exact specifications desired, but if yours doesn’t then you should be sure to have them on hand. The slightest deviation from a recipe can lead to some seriously funky bread, and nobody wants that. Luckily, however, you don’t need all that many ingredients so mixing them properly really isn’t that difficult. At this stage, all that you need are flour, yeast, salt, and water, although some recipes will call for fat, milk, or sugar, depending on personal preferences. These ingredients are then all mixed together within the machine to form a dough. Inside the bread machine, a small paddle sets to work kneading this dough, a process that was traditionally done by hand or with a rolling pin. This usually goes on for about 5 or 10 minutes, depending on the model, before the next step in the process takes place; the rising. During this phase, the bread actually starts to take its shape as the yeast causes the bread to rise, aided by an internal thermostat to get the temperature just right. And then, finally, there is the baking phase, when the yeast/dough mixture really becomes the bread we enjoy. During the baking phase, the oven inside the machine pops on, and within no time your kitchen will be filled with the delicious aroma of freshly baked bread. Because of the fact that this is very often a long, time consuming process, however, many models also have a delay feature. Users can set this delay feature to coincide with their wake-up times, meaning that they will be greeted by fresh, delicious bread hot from the oven as soon as they head into the kitchen for breakfast. Always remember, however, to read your machines manual before using it: different machines work in different ways, and not all machines have the same requirements or produce the same sized loaves. So, aside from the delay ability mentioned above, bread machines have a vast array of other features that can really make a difference for your bread making. 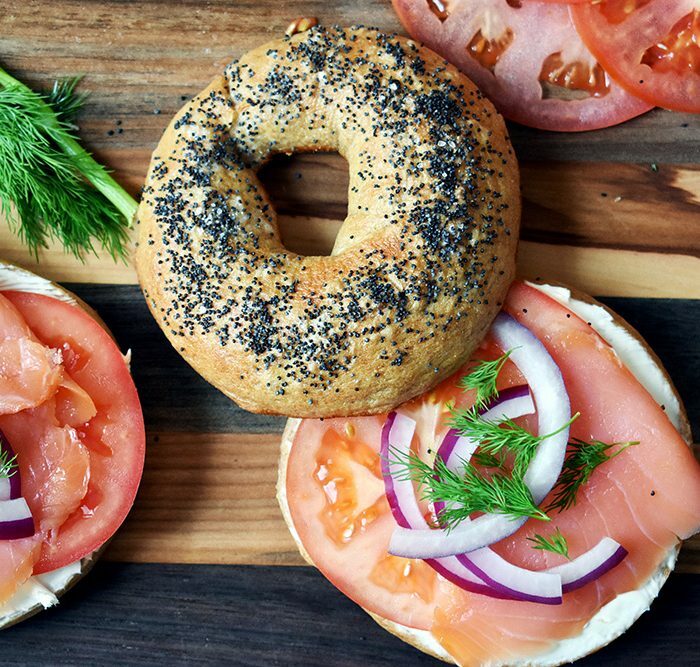 Some of the most popular features in modern bread makers is the ability to create foods other than bread, such as pasta noodles, pizza dough, or even Japanese mochi, jams, and cakes. Others on the market also have the ability to add in fruits and nuts to the dough, which is done by dropping them in from a separate tray after the kneading process is completed. Some machines also have a window, which, while it is not a make-or-break decision for many people, certainly adds in a coolness factor, especially for people with little kids. Everyone wants to watch as their bread is made, and kids usually enjoy watching the kneading and especially the rising parts of the process. Other machines also have an alert in them that will audibly let users know when their bread is made, so you don’t need to worry about opening the doors and finding some old, cold bread waiting for you. Aside from these hardware features, there are some other neat things to look for when choosing a bread maker too. Some of them let you really customize your bread, and feature a control panel where users are able to select the size, shape, and even the color of their bread, as well as the kind of yeast that they wish to use. More high-end ones even allow you to make your own, customizable cycles if you don’t like any of the ones already programmed, and a few will also come with a gluten-free feature, which makes use of special bread mixes for people who suffer from issues like coeliac disease, or for those who just prefer to live on a gluten free diet. There is also a rapid bake feature available on some models, which is great if you are really in a hurry and need some fresh bread fast. Unfortunately, however, the bread made in this fashion is rarely as good as the bread made through the longer process, but it is still very often better than the store-bought stuff, and it definitely works in a pinch to get some delicious fresh bread on the table before the big dinner party. Plus, it gets that great, fresh bread smell in the air, ensuring your guests build their appetite before they sit down at your table. The most obvious benefit of having a bread machine is that you get to make bread at home. 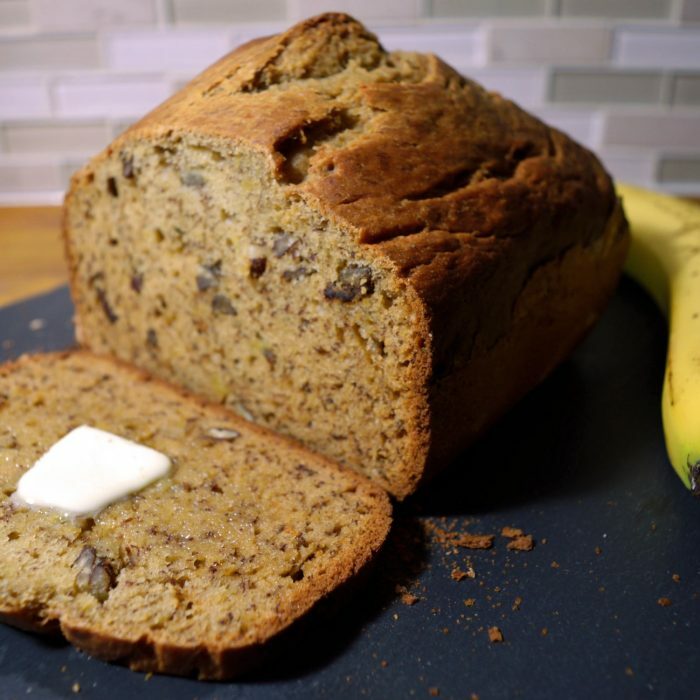 No more weekly trips down to the store to pick up bread for the coming days; now you can make your own from the comfort of your kitchen whenever you feel the need to. And fresh bread always tastes better than the store-bought stuff, so not only are you saving on trips to the store, but you are also getting yourself a higher quality product. Speaking of higher quality products, bread makers also allow you to know exactly what is going into your bread every time you make it. Unlike the stuff from the supermarket, you know every single ingredient that goes into your bread because you added them in yourself, and you can adjust them as you see fit to give you the product that most appeals to your tastes and preferences. Not having to go to the store also means that you are saving money, too. Sure, you still need to buy the yeast and the flour, but these items are a fraction of the cost of buying a new loaf of bread every week. And, if you have a maker that is able to make other things as well, you are saving even more. Never need to worry about buying pasta, jams, or pizza again! Just buy the ingredients you need in bulk, and then watch as the savings start to pour in. And then, finally, there is the fact that it is easy to use. A bread maker can make even the most culinary-inept among us feel like a 5-star chef, and they are sure to impress your friends and family at your next gathering. So rather than try and get that perfect loaf from an oven, just about anyone can pop their ingredients into their bread maker and rest assured that they will have a delicious end product with relatively little hassle.